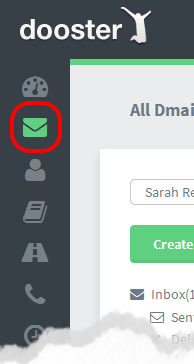 Dmail is an “Extra Feature” You need to opt in to it. For example you can keep your old email system and simply forward selected emails into your Dooster email system. These might be emails that are associated with particular projects or which you are worried you might forget so want to be reminded about them.